Don’t count yourself among Les Misérables when faced with a slow box office. 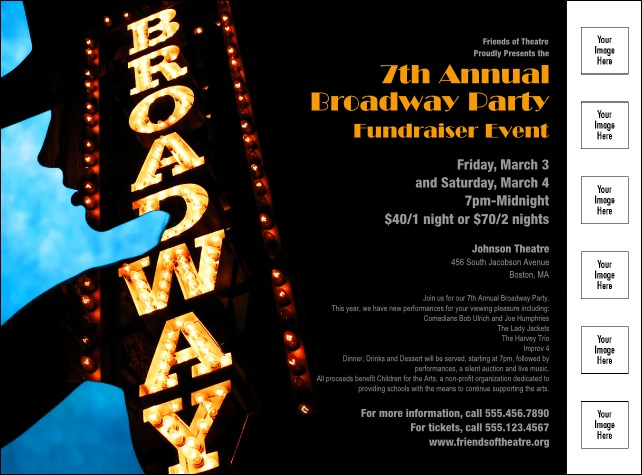 Advertise your show with these Broadway Flyers. Start selling tickets with twenty-five lines of text, six image uploads, and the compelling images of a performer superimposed with the seductive lights of the theatre marquis. Make it a hit with CanadaTicketPrinting.ca's theatrical Flyers.